Z88.3 has been focusing on finding ways to bless those who support their ministry. To do this, they have divided their donors into two exclusive groups – TEAM 88.3 (any individual or family who have ever supported the station) and Z88.3 Business Team Members (businesses who support the Z with a minimum annual gift of $1200). Today, Z88.3 hosted their second annual Free Lunch with the Z Crew for their Business Team Members. 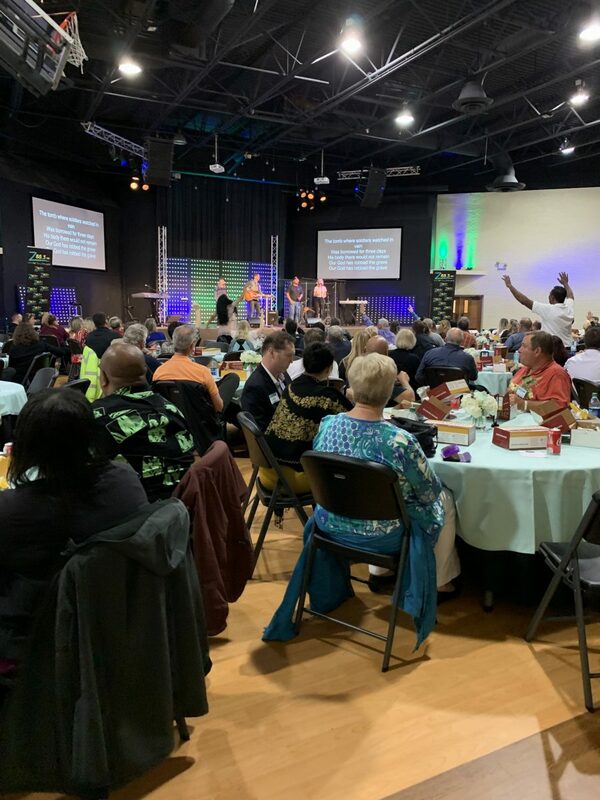 The lunch featured Elevation Worship and was hosted by Ellis and Tyler from Z88.3 Mornings. The lunch is not an ask of any kind; it’s simply a thank you for supporting the station. It’s also a chance for the station to help businesses set up their business team directory listing. The Z has gone above and beyond by providing mini websites for each business in their Z88.3 Business Team Member directory. This allows each business to post logos, social media links, pictures and descriptive info about their business in addition to the regular contact info you can usually find. Z88.3 continues to find exclusive ways to love on their donors. Free Lunch with the Z Crew is just another fun way they are making that happen.